Rosie Huntington-Whiteley does many things well, from dressing for a girl’s night out (have you read her tips? ), to looking polished at the airport (her packing list is a must-see). 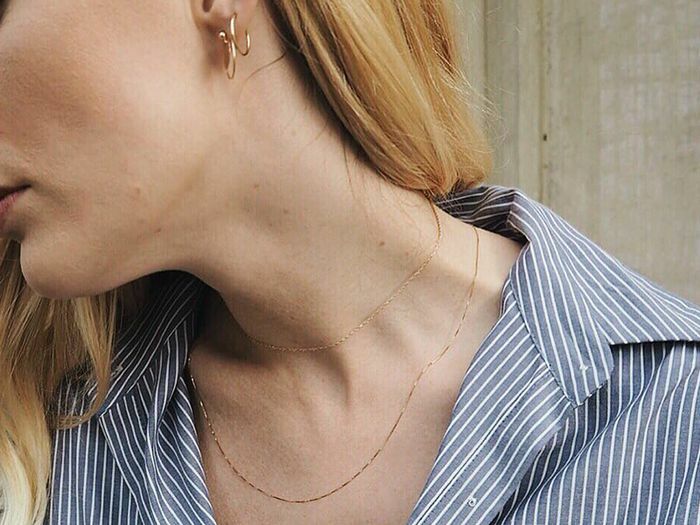 During some recent casual Instagram stalking, we came upon yet another one of the model’s talents: necklace layering. Thankfully for us, Huntington-Whiteley has a formula down— she usually pairs any number of shorter necklaces with a body chain (and sometimes adds a pendant necklace for variety). 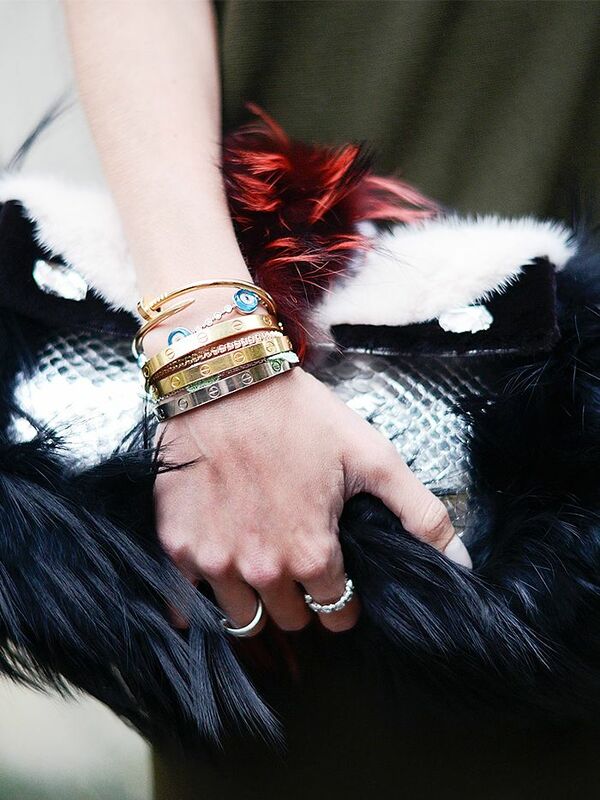 The combination of short and long chains is downright stylish and completely worth copying. Click through to check out the look and shop some of Huntington-Whiteley’s favourite necklaces. On Huntington-Whiteley: Jacquie Aiche Shaker Diamond Bezel Choker ($5375) and 14k Diamond Y Necklace. On Huntington-Whiteley: Jacquie Aiche Shaker Diamond Bezel Choker, ($5375) Mini Kite Bodychain ($1875), 14k Eye Braided Choker, and 14k Diamond Y Necklace. On Huntington-Whiteley: Jaquie Aiche Plain Crescent Horn Necklace ($1625), Purple Tourmaline Knuckle Necklace ($8000), Mini Kite Bodychain ($1875). On Huntington-Whiteley: Jaquie Aiche Plain Crescent Horn Necklace ($1625) and Mini Kite Bodychain ($1875). 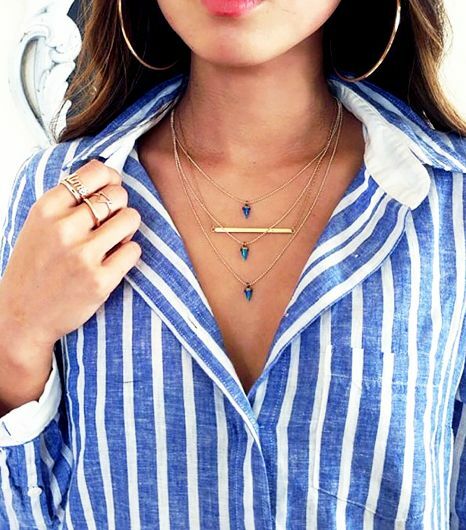 Now that you know how to style your necklaces, here's how to organise them.